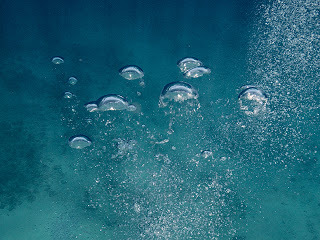 What is my fascination with SCUBA bubbles? Maybe it's the surprise of never knowing what odor will emerge when you pop one? 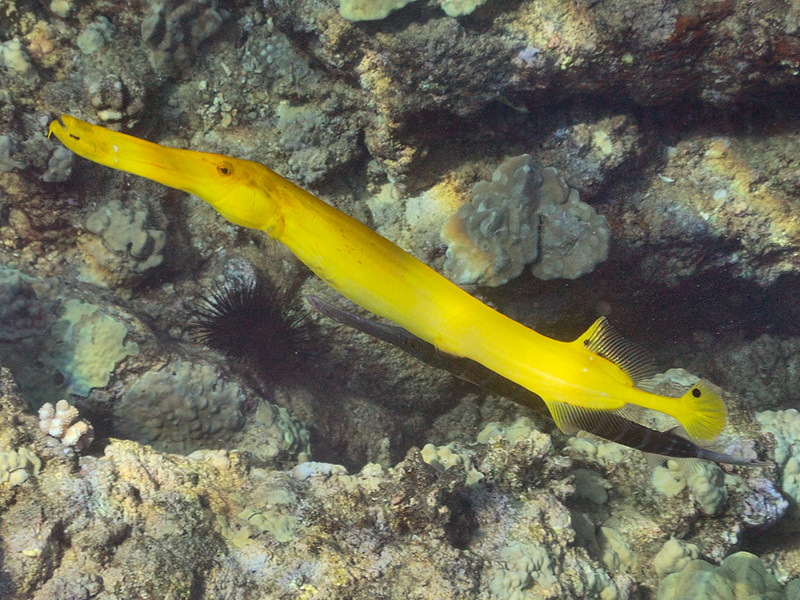 This yellow Trumpetfish was being continually harassed by the smaller trumpetfish below it. I see that a lot in the ocean where the little guy often chases away the big fish.